Meatloaf may be delicious, but that deliciousness comes at a price. While baking in the oven, meatloaf spends a good amount of time stewing in it’s own juices. While fat certainly adds flavor, it is not wanted in quantity. 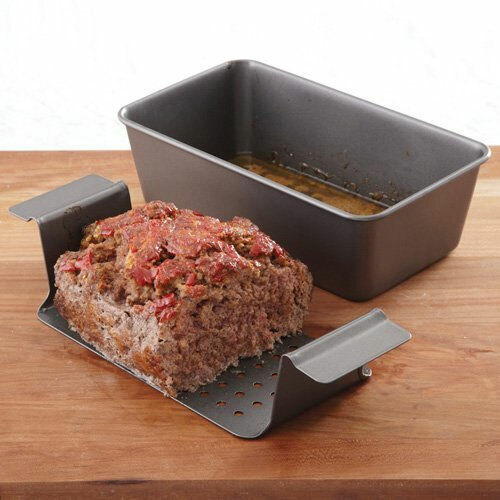 Like a burger on the grill dripping fat down away from the food, the Xtraordinary Home Products Nonstick Meatloaf Pan gives grease an escape–other than the bottom of the oven. And hey, if you miss all that flavor, you can always make gravy out of the drippings.